myname gunwoo “I AM 27” everyone please support alot! It also features me so please check it out! 안녕하세요 마이네임입니다 현재 식사를 못하신분들!배달의마이네임이 피자배달을합니다!!지금! 꼭! 피자를 먹고싶은 분!! 이유와 주소를리트윗해주시면 저희 마이네임이 직접배달을갑니다! 많은참여 관심부탁립니다!! Hello we’re MYNAME. Those who has not eaten! MYNAME Delivery will deliver pizza to you!!Now! Must! Those who wants to eat pizza!! 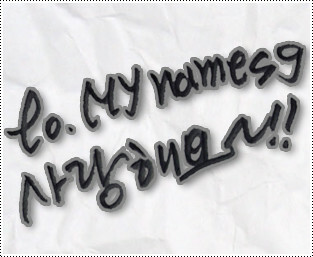 MYNAME will deliver personally to you when you retweet, give your reason and address! Please have interest and participate!! #MYNAME #mygirl #MYNAME delivery we will now visit Incheon!! Don’t be sad if you’re in another area the event doesn’t end today! We’ll go to other area for other events!! Do not be sad! okay! #MYNAME #mygirl #MYNAME delivery going for 2nd delivery!! 채린양 다음에는 더 멋지게 하고갈께요…진짜…. Miss Chaelin I will be cooler next time…really…. #MYNAME #mygirl #MYNAME delivery third one..?? Next!! Miss Subin hwaiting!!!!!! This entry was posted on December 13, 2015 by mynamesg. It was filed under Chaejin, Gunwoo, Insoo, Instagram, JunQ, Seyong, Tweets and was tagged with Chaejin, Gunwoo, Insoo, Instagram, JunQ, MYNAME, Seyong, Tweets.